Since 2016, CCMI has partnered with Diving With Heroes to deliver a week-long programme every year at the Little Cayman Research Centre as part of the Diving With Heroes Marine Science Intiative. Veterans spend their time immersed in field station life working alongside scientists to preserve and restore coral reef ecosystems. We know that diving creates a new, invigorating world for veterans, helping recovery, opening new doors to a different way of life and providing an active, technical sport that aligns with a military way of thinking. By taking this experience a step further and including the research and conservation element into the mix, diving is given a greater purpose – it’s not just about enjoying the sport, it’s also about learning how to protect our oceans for the future. 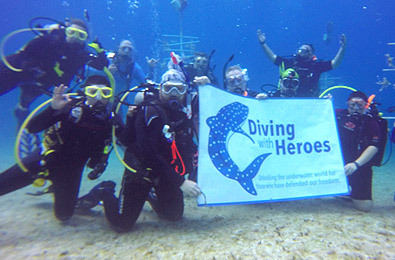 For more information, check out the Diving With Heroes website. Join us for a week of tropical sun, science, and snorkeling on the pristine beaches and palatial coral reefs of Little Cayman! Please click here for how you can get involved with Earthwatch. 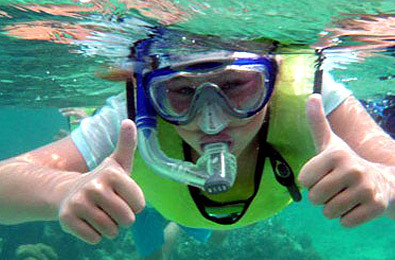 Earthwatch participants must be adventurous, enthusiastic, and confident swimmers. Some previous snorkeling experience is expected. 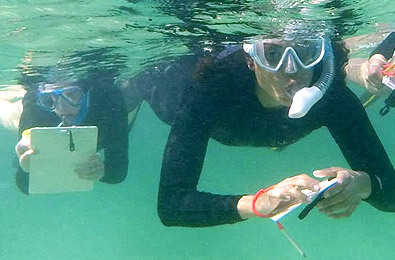 Do you want your students to be a part of this adventure below the waves? Contact us today. CCMI’s scientists conduct weekly lectures on CCMI’s current research interests as well as other issues impacting the marine environment. These lectures are held locally at Southern Cross Club at 6 pm on Thursdays and are open to the public including visitors. 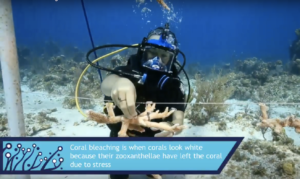 The topics covered will include themes like climate change and its impact on coral reefs, the invasive Indo-Pacific lionfish, ongoing efforts to recover local Nassau grouper populations and a variety of other issues impacting Cayman Islands reefs. For the most current information on the lecture series, please see our Facebook Page. Little Cayman’s Bloody Bay Marine Park is among one of the most diverse and pristine coral reefs in the world and unlike other marine parks around the world is open to divers free of charge. For divers who would like to support research to protect and preserve this natural wonder, CCMI has created the “Dollar-a-Dive” campaign. For a donation of $1 per dive done in the marine park (usually about $10), divers will receive a dive tag to place on their equipment to show their support for marine conservation and commemorate their dive trip in Little Cayman. All proceeds go toward funding CCMI’s research in Little Cayman. Dive tags are available for purchase at the Central Caribbean Marine Institute and also at local dive shops on Little Cayman.